Now more than ever consumers are looking for the best possible all natural sunscreen for their families. Whether you have a pool at home, or you are planning your next family tropical getaway, take the following information into serious consideration when you are looking for quality natural sun care products. Reading natural sunscreen reviews is a great way to find the top products available and where to buy them at the lowest cost. We found UV Natural Sunscreen to be amazing and affordable. When protecting your baby, young kids and yourself from harmful sun rays, the ingredients and how the products are made is just as important as protecting your skin is in the first place. Until recently consumers have been slathering their loved ones with sunscreen products that are guaranteed waterproof and sweat proof but at what cost? Instead of buying into all the flashy marketing taglines like sweat proof and water proof look for all natural and chemical free products that do the very same job without subjecting your skin to harsh chemicals. Read natural sunscreen reviews like this one before you purchase any additional sun care products for your family. A good sunscreen product (especially for young children and babies) will effective block skin from sun exposure in the water, out of the water, during sports all while doing it with natural ingredients. It is absolutely essential that you take a look at natural sunscreen reviews and recommendations when buying for children and babies because they are not as discerning as adults when it comes to sunscreen products (at least until its too late). Your child is not likely going to share any information with you about how effective the sunscreen they have on is working until they know it is not and that means they are already burned right? UV Natural has just been ranked #1 by the Environmental Working Group (EWG). UV Natural also proves to be the safest and most effective sunscreen sold in the US. All this and having some 800 other brands as competition is so easy feat. UV natural is renowned for its reputation for providing uncompromising safety and effectiveness in sun exposure defense. An impressive variety of UV Natural sunscreens protect against the full spectrum of UV light - UV A1, A2, B and C. While we are focusing on baby sunscreen and kids sun block by UV Natural, this brand has the entire family covered (pun intended). For your little one(s), UV Natural Baby is mild, yet effective so you can reduce the risk of sunburn to your baby (soft and sensitive skin) without having to cake on a ton of product. Its SPF 30 and UV Natural Baby ingredients promote, strengthen and maintain healthy skin cell growth as well. When it comes to babies especially, you willneed to apply skin care with sun-blocking capabilities most any time you go out of doors. For those buying for the first time, the product is available in two perfect sizes, for value, the larger size (5.29 oz) is recommended and carries a long enough shelf life to be effective. For convenience the smaller (1.76 oz) size is great for the diaper bag and quick trips. Alas, the larger size fits easily into most regular diaper bags. Other ingredients include grape seed and macadamia oil (for nourishment) and grape seed extract and green tea. The biggest tip we have about this product is that a little goes a long way. We purchased the 5.29 oz size and it lasted weeks. We love that UV Natural does not need to be slathered. Its innovative formulation applies like a moisturizer. Make sure you fully cover the area to be exposed and then rub in. Another application tip is that if it does not soak in with 10 minutes you are probably over applying it. Less is more in this case. As long as you let it fully dry before going out of doors, you will be fine. This would not be an effective UV Natural Sunscreen review if we will not share with you the best place to buy it! At press time, we found it to cost $18.00. 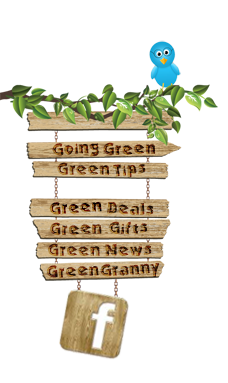 This will set you up directly to the product at Buy Green where it is sold the most affordably. Free shipping on thousands of items. 100% guarantee!